The 220 miles of the River Severn, the UK's longest river, run from the heights of Plynlimon in mid-Wales down to the Bristol Channel at Severn Beach, through the historic counties of Shropshire, Worcestershire and Gloucestershire. As well as a largely downhill walk through peaceful landscapes such as the superb Hafren Forest, easily accessible from the pretty towns along the route, the Severn Way, which follows its course, is also a packed with historical and geographical interest. Divided into four sections that correspond with the four main counties (Powys, Shropshire, Worcestershire and Gloucestershire) through which the River Severn flows, this guidebook offers all the information walkers need to make the most of their backpacking trip, from source to sea. Description of the official route, with an additional variant start over Plynlimon and route back to Bristol from Severn Beach. Illustrated with OS map extracts. Plenty of background information about all the places passed along the way. Seasons: May to September should avoid both the usual periods of flooding and the glutinous aftermath they bring. Centres: Main centres are Worcester and Gloucester; marginally lesser centres are Newtown, Welshpool, Shrewsbury, Bridgnorth, Stourport and Tewkesbury, plus numerous small villages and hamlets. 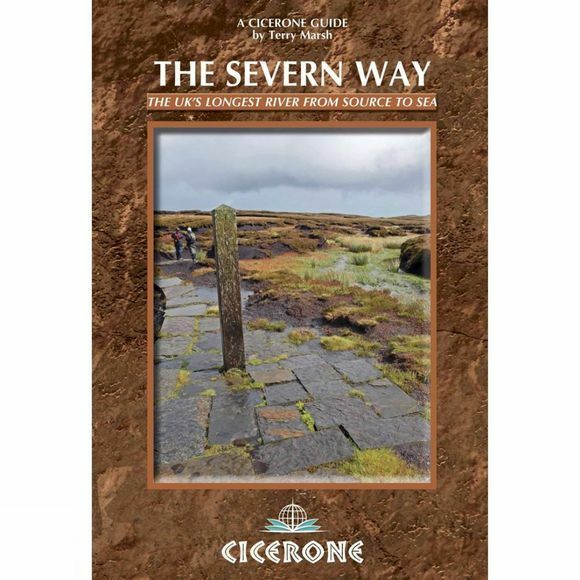 Difficulty: Any regular walker would find no difficulty following the Severn Way; once descended from the Hafren Forest and the upper Severn, then easy riparian loveliness ensues all the way to Severn Beach. Equipment and clothing for day walking is adequate, plus extra in the way of liquid and food.